Our Almond range is both deliciously addictive and wonderfully sensual. These creamy, tender and silky textures provide incredible softness and melt into skin. 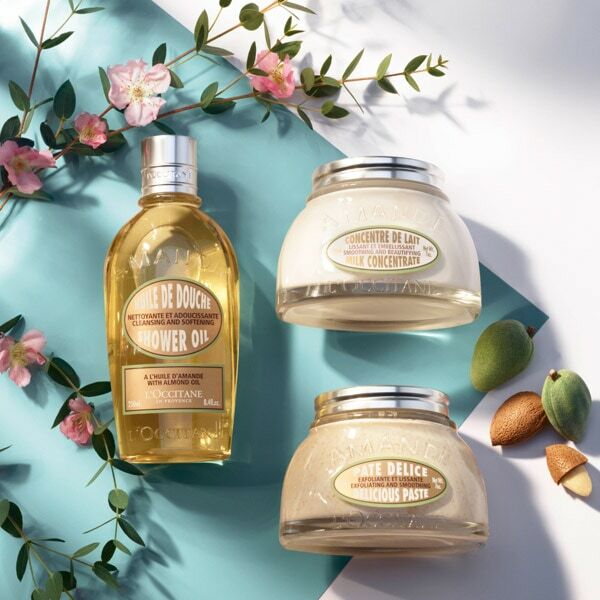 Dive right into an Almond body care ritual for beautiful skin and a radiant glow! The hands are not to be forgotten, as they are the ones to assist us in achieving beautiful skin. Squeeze a pea-sized amount of Almond Delicious Hands onto hands and begin to massage the product into the skin. Work the hand cream into fingers and knuckles. Finish by massaging remaining product into cuticles.